Wisdom teeth cause a lot of problems to many people. Below is a great article that may help you determine if it what you are experiencing is related to your wisdom teeth. Thanks for visiting us Shoreline Endodontics of Groton, CT. 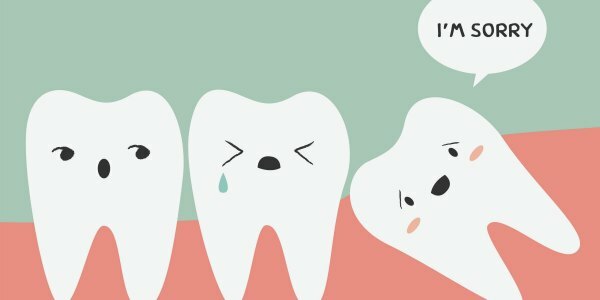 Wisdom teeth are the uproar of the dental department! You surely must have heard about how once a wisdom tooth starts to rise in the individual’s mouth, there are several signs of soreness and inflictions observed. Hence in order to prevent this affliction from affecting other parts of the mouth, it becomes necessary to understand the wisdom teeth symptoms. This is something that occurs due to the improper eruption of the 3rd molar tooth in the jaw, and especially in the lower jaw, where, the 3rd molar also called the Wisdom Tooth doesn’t have a proper place to erupt in the jaw, and starts causing problems. What Do You Mean By Wisdom Teeth Symptoms? Depending upon the individual, the wisdom teeth symptoms suffered can differ from one another. Hence there are distinct types of wisdom teeth symptoms although they all result in wisdom teeth pain and plenty more inflictions out of which the swelling and pain are the most common. Wisdom teeth symptoms depends also upon the manner in which the wisdom tooth arises i.e. does it occur longitudinally protruding halfway or does it completely embed itself inside hence causing different consequences. What Are the Different Types of Wisdom Teeth Symptoms? Swallowing becomes difficult as well as movement of the jaw which one of the significant wisdom teeth symptoms. Foul breath, distasteful flavor in the taste buds which are the secondary wisdom teeth symptoms. Pus formation and discharge also are the signs of wisdom teeth. The not so very common wisdom teeth symptoms though highly dangerous are formation of cysts or tumors in the affected areas. Toothache is another one of the common wisdom teeth symptoms. Formation of inflammation in the lymphatic nodules thus causing pain in the throat can be another one of the severe wisdom teeth symptoms. Swollen cheeks, softened tissues in the gum and cheek, ulcers are all signs of wisdom teeth. Another one of the wisdom teeth symptoms is high fever and headaches. Muscle spasms normally can occur during wisdom teeth. Swelling in and around the face, throat can be regarded as another consequence of wisdom teeth. Difficulty in chewing food which leads to wisdom teeth pain, brushing your teeth becomes tough; nausea and fatigue are some of the remaining wisdom teeth symptoms observed. Now that we’ve noticed the several wisdom teeth symptoms you might like to also know the means by which these symptoms can either be cured or reduced to a certain extent.